To make your dreams of homeownership come true, you’ll have to jump through a series of hoops known as the mortgage process. Regarded as lengthy, the application part of the mortgage process requires you, as a borrower, to submit a series of documents to prove everything from your identity to your current income to your ability to pay back the loan. To get your mortgage application approved without any hiccups, it’s best if you gather everything you need ahead of time, so you’re ready when the lender requests information to help get your mortgage loan approved. Although you won’t need to provide a credit report to the lender, you should know what’s on your report before the lender pulls it in the early stages of the process. Any errors you find in the report need to be corrected by filing a dispute with one or more of the three credit bureaus: Equifax, Experian and TransUnion. 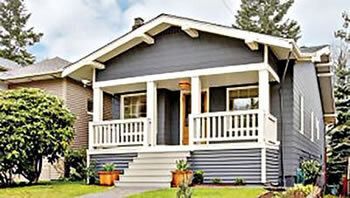 It is possible, however, to get a mortgage loan with less-than-perfect credit. Another one of the first items the bank will want to see are your paycheck stubs from at least the last 30 days. Stubs support your claim that you’re currently employed and show your take-home pay, which is helpful in determining how much house you can afford. Around the same time, you’ll need to provide the most recent bank statement from each account that you hold. Bank statements allow the lender to see how much money you have on hand. In case you have other assets aside from your bank accounts, you’ll need to give your lender a list when you provide other income information. Additional assets show you’re more financially prepared to take on the debt of homeownership. Although your credit report will provide much of the information about your debts, the mortgage lender might need to verify certain debts or ask about additional debts to be able to accurately calculate your debt-to-income ratio. Although you only need a month’s worth of pay stubs, the loan officer will also want to see your W-2 forms from the past two years. W-2 forms support both employment and income history. Many mortgage lenders request not one tax return, but two — especially if you are self-employed and don’t have any W-2s to prove your income. You can fill out Form 4506-T or Form 4506T-EZ to request transcripts of the tax returns if you didn’t save copies. Another requirement banks often request of self-employed applicants is a completed year-to-date profit and loss statement. A P&L lets the lender know where your business stands financially. In case you receive any supplemental income, such as SSI, commissions, overtime pay or tips or bonuses you’ll need proof. Additional income can help you qualify for a larger mortgage. Should you own additional properties that you rent out, you can use this income toward qualifying for a mortgage. The bank might request that you submit Schedule E from your taxes, or they might simply ask for a copy of the current lease. When a friend or family member gifts you money toward your down payment, the bank requires a gift letter from the person who gave you the money. The purpose is to prove that the funds are a gift — not a loan. Request a copy of your canceled rent or mortgage checks to prove you’ve paid your landlord or current mortgage holder on time. Depending on the bank, you might also be asked to submit a residence history for the last two years. The lender will want to see a copy of your divorce decree if applicable. A divorce decree will usually spell out child support or alimony requirements, which can make a difference in your income or expenditures. Previous bankruptcies or foreclosures that have taken place in the last seven years must also be disclosed during the application process. It’s crucial for the lender to verify that you’re no longer obligated to satisfy any debts connected to previous bankruptcies or foreclosures.